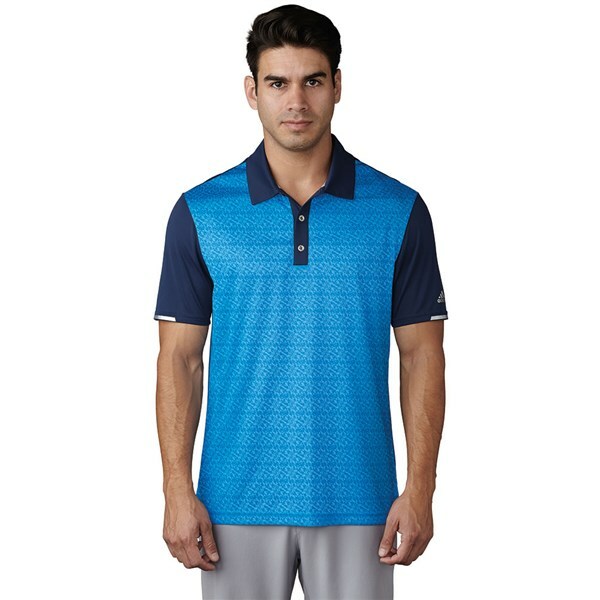 The adidas climachill Tri-Geo Print Polo Shirt features an excellent cooling technologies that will help lower your body temperature to improve comfort while playing in the heat. A lightweight polyester that features their climachill technology will provide 360° ventilation to maximise cooling. The fabric has a technical stretch that will enhance your movement and mobility and let you swing freely. The solid front and back panels are complemented with a contrasting sleeve, collar and placket that gives a sporty feel to the polo shirt. climachillTM fabric provides 360º ventilation for maximum cooling. 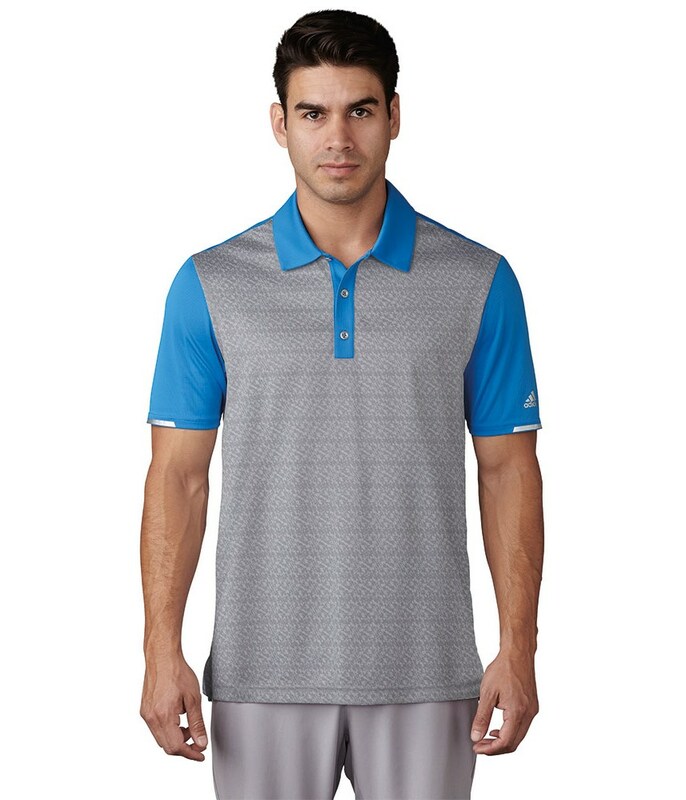 climachillTM stretch fabric across back yoke provides mobility to swing freely. 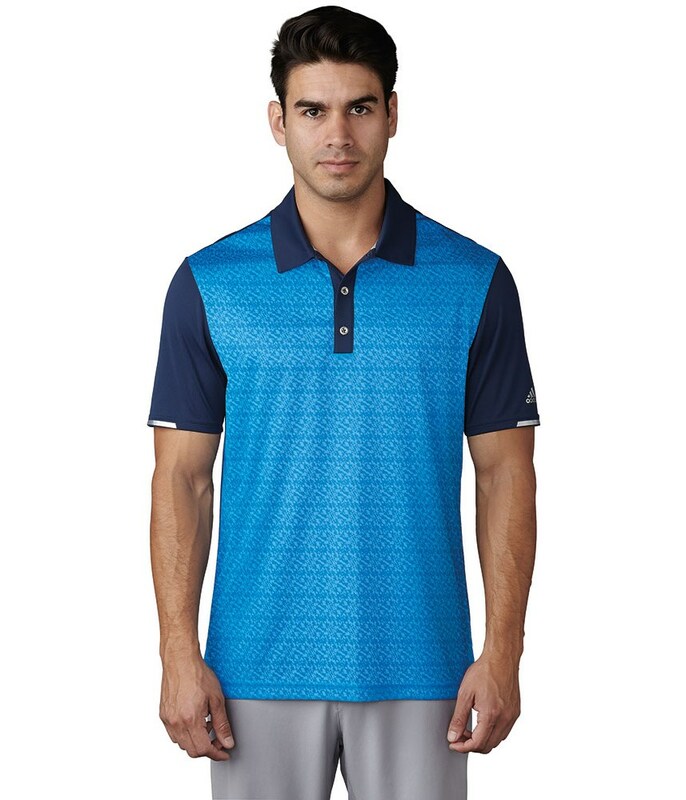 Fabric is moisture wicking and breathable. 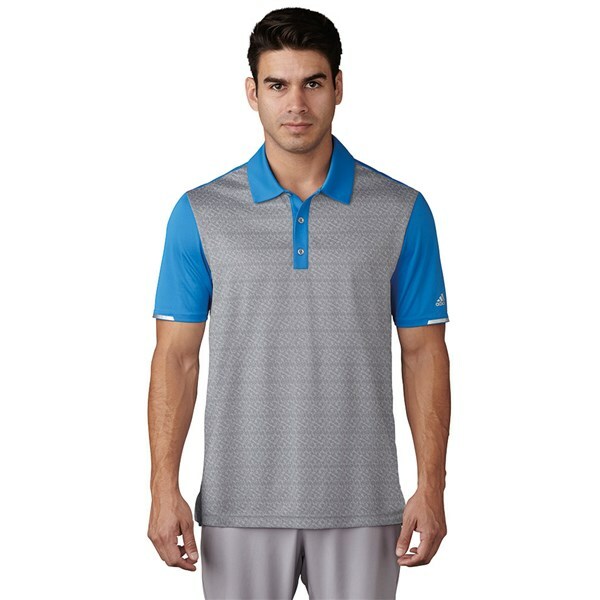 Self collar with laser perforated detail for breathability. adidas® silver Badge of Sport heat transfer at left sleeve.